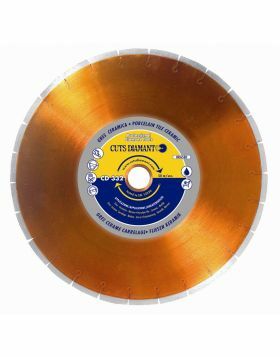 CD 323 diamond disc with continuous thin crown, ideal for cutting tiles. The diamond crown of the disc is completely smooth and has small notches, which allow the disk to expand during the cutting phases. 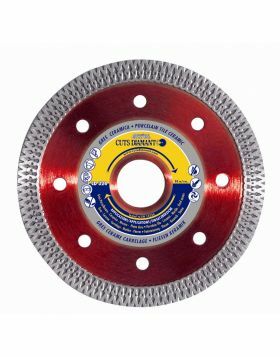 The reinforcement flange placed around the central hole gives greater resistance to the disc. Available from 115mm up to 350mm diameter. 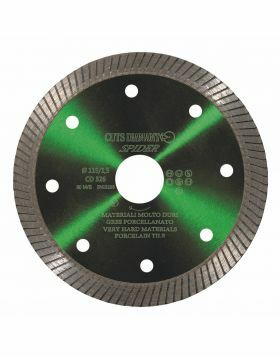 Recommended for cutting porcelain, single and double fired tile, majolica, marble, porcelain, mosaic. 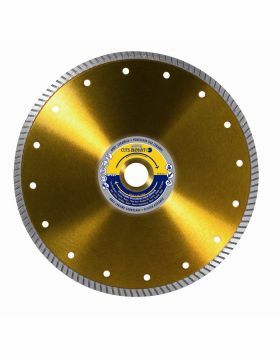 To be used on grinders and table saws which mount diamond blades.